Deriving long-term prosperity from Australia's agricultural and energy resources are national priorities. With changing environmental and global trade conditions, finding ways to maintain global food security and efficiently transforming agricultural residues into high-value products, including chemicals and fuels, is of vital importance. understanding new and existing crop pest threats, and developing innovative technologies to protect against them. techno-economic assessment of biorefinery, biofuel and bioproduct technologies. 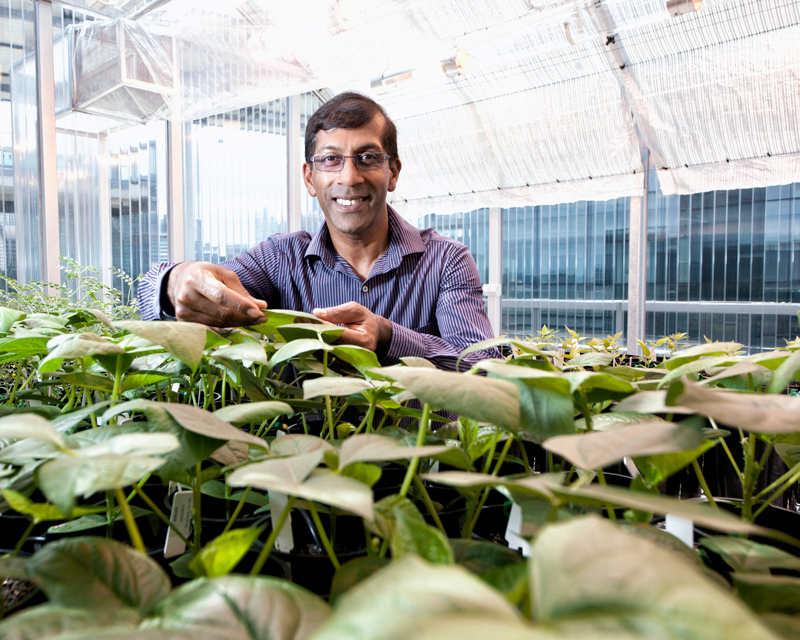 A key driver of QUT’s biotechnology capabilities is the Centre for Tropical Crops and Biocommodities (CTCB), which combines international expertise in plant biotechnology, industrial chemistry, process engineering and commercialisation. The Institute for Future Environments (IFE) provides world-class research infrastructure such as the Central Analytical Research Facility (CARF) and our pilot plants at Mackay and Banyo, which enable research that can be scaled from the laboratory all the way to large-scale industrial settings. Specialising in tropical agriculture and the high-value biocommodities sector, the Centre for Tropical Crops and Biocommodities (CTCB) is making a significant contribution to improving tropical agriculture in Australia and developing countries in Africa, India and South-East Asia. We've created a continuum of research and development from laboratory through to finished products. world-leading expertise and capability in the field of tropical crop science. Working closely with industry partners, research funding bodies and other research providers, the centre is delivering international research and consulting solutions in biotechnology and biomass processing. Australia's largest biofuel production testing facility, specialising in engine performance testing and biofuels emissions testing.